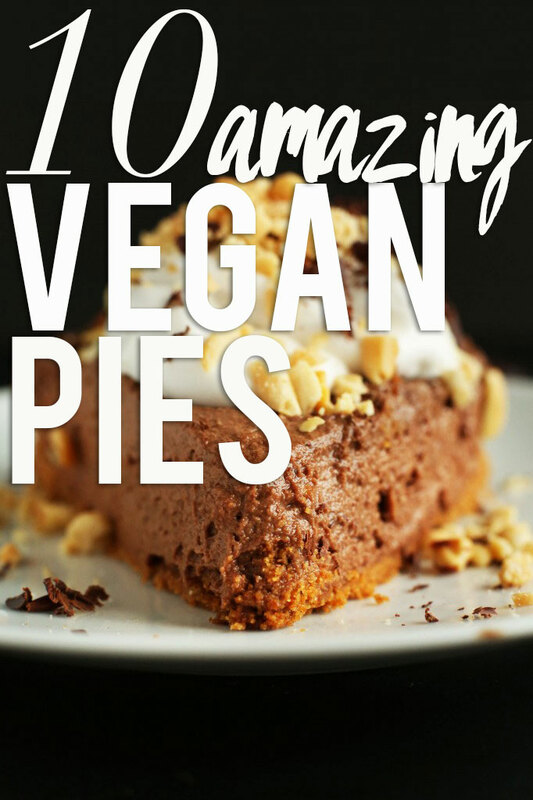 Banana Cream Pie (V/GF) – Absolutely delicious, 10-ingredient vegan banana cream pie! 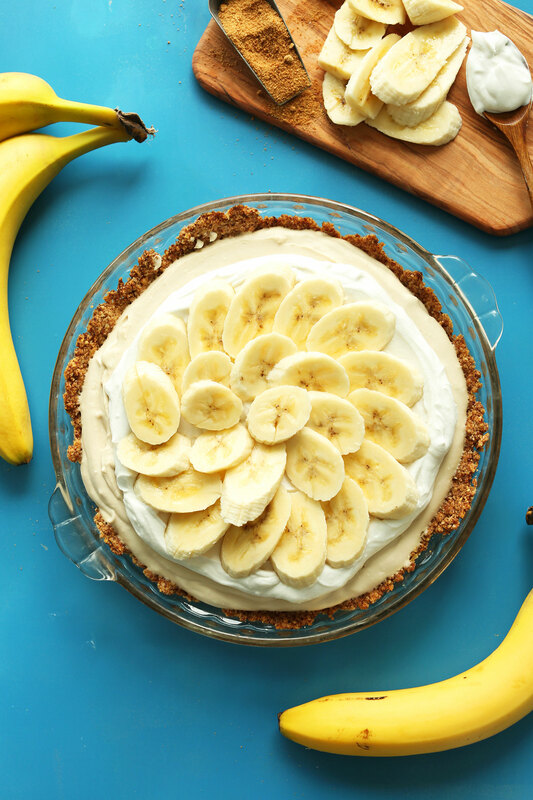 Crispy gluten-free crust, fluffy and silky cream center, and layered with 3 whole bananas! 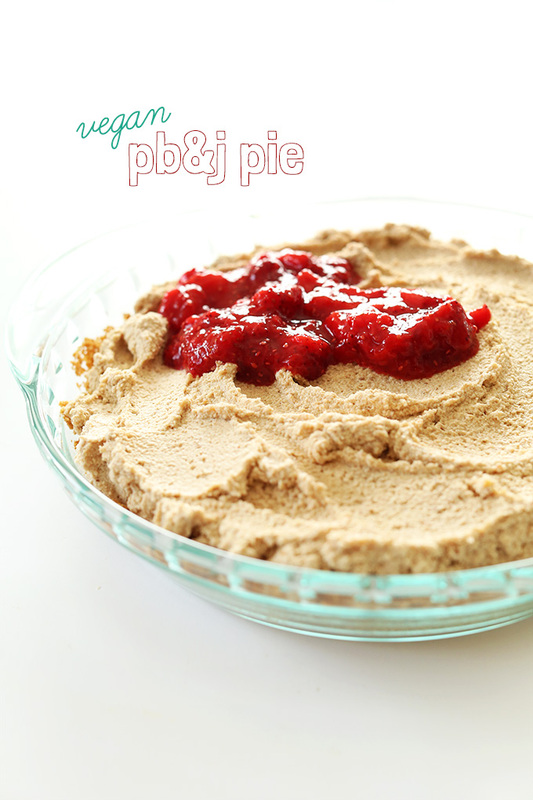 No Bake Vegan PB&J Pie – A PB&J Pie that’s vegan-friendly, naturally sweetened, and requires just 9 ingredients. No bake besides the crust, and packs all the flavor of a classic PB&J into a healthier-for-you pie! 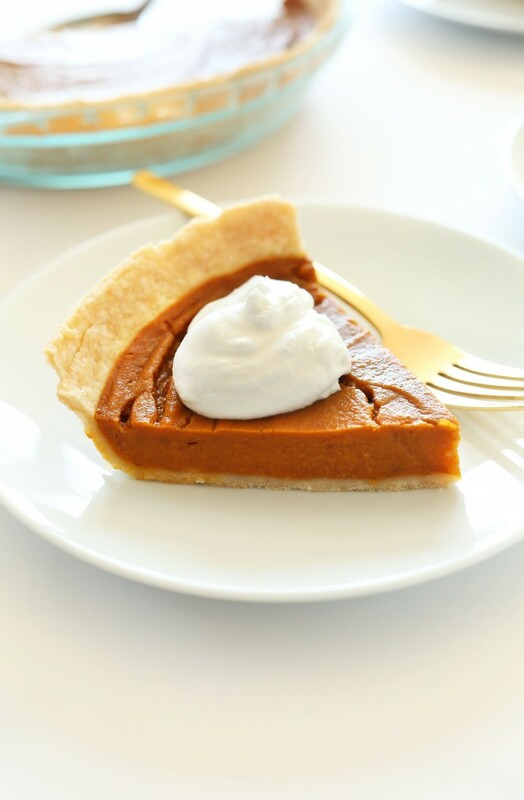 Vegan Gluten Free Pumpkin Pie – THEE best Pumpkin Pie that requires just 10 ingredients and is both vegan and gluten free! Crisp crust, flavorful pumpkin center – the perfect pumpkin pie for your holiday meals. 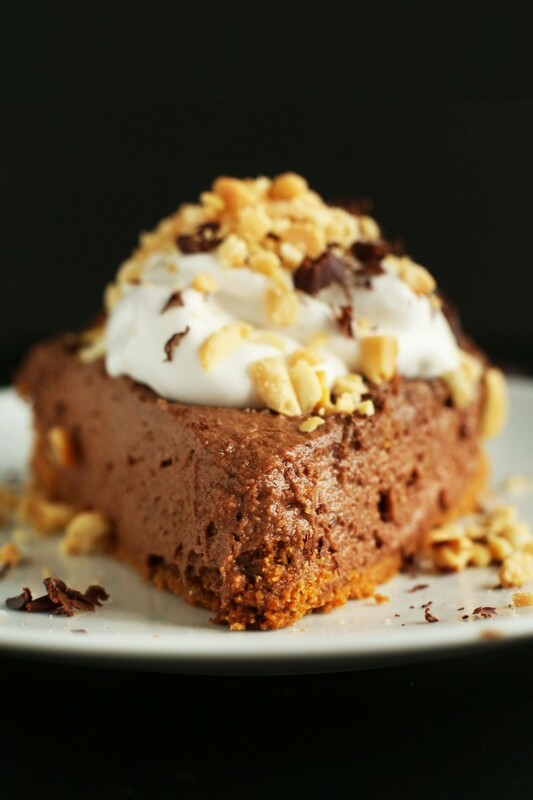 Chocolate Peanut Butter Mousse Pie – Easy, rich 7 ingredient chocolate peanut butter mousse pie on a simple graham cracker crust. Creamy, thick, super chocolatey and balanced perfectly with salty peanut butter. The pie of my dreams. 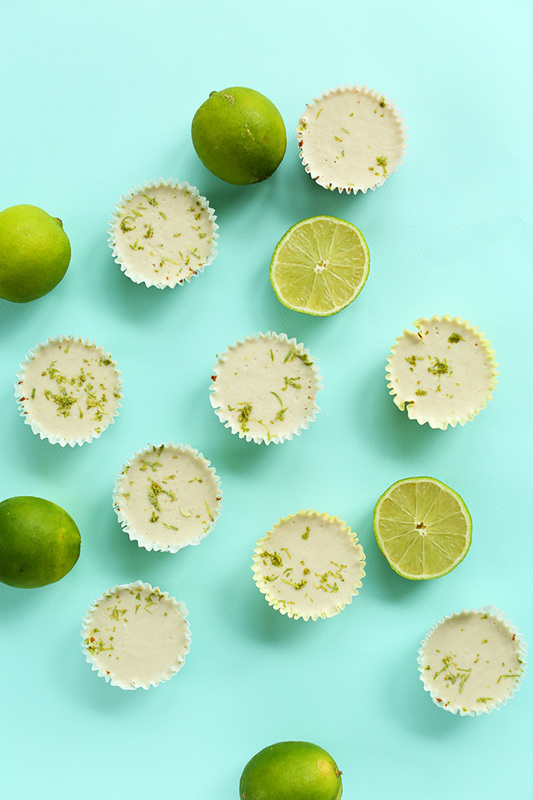 Vegan Key Lime Pies – 7 Ingredient key lime pie bites with a simple graham cracker crust! Perfectly tart, creamy and so satisfying. 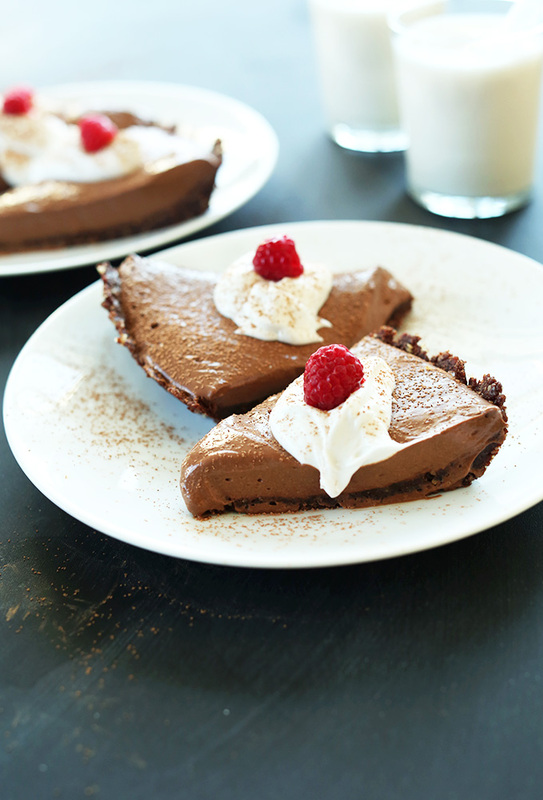 Vegan Chocolate Pie – Creamy, 6 ingredient vegan chocolate pie, so satisfying you’d never guess it was dairy free! Silken tofu pulls a sheet over eyes with its super silky texture and neutral flavor. Chocolatey, rich, fudgy – what’s not to love? 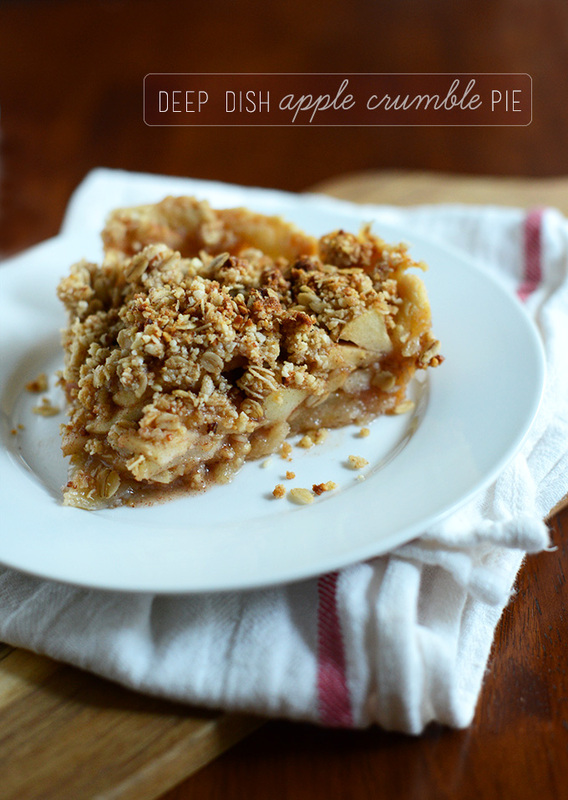 Deep Dish Apple Crumble Pie – Deep Dish Apple Crumble Pie that’s perfect for fall and requires just 1 bowl! 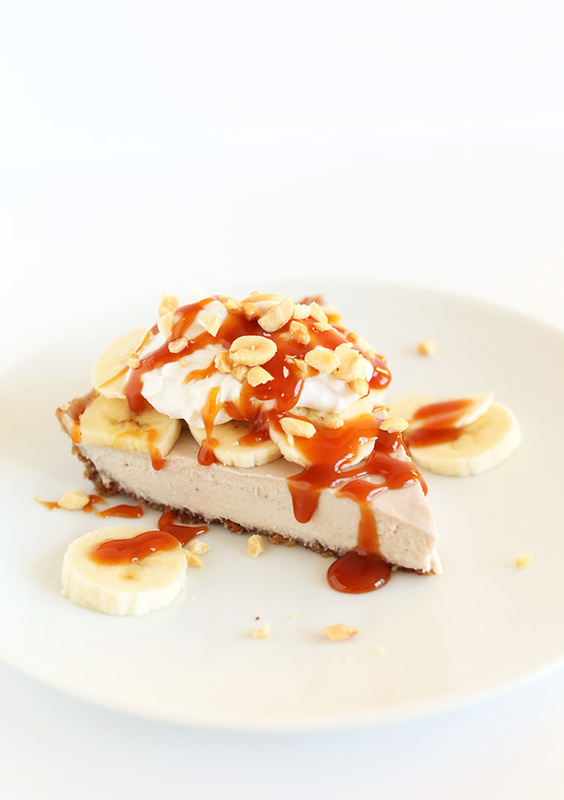 Raw Vegan Banana Cream Pie – 10-ingredient, amazingly healthy vegan banana cream pie. A 2-ingredient crust, 7-ingredient filling and no baking means no mess and time saved. Simple dessert as its finest. 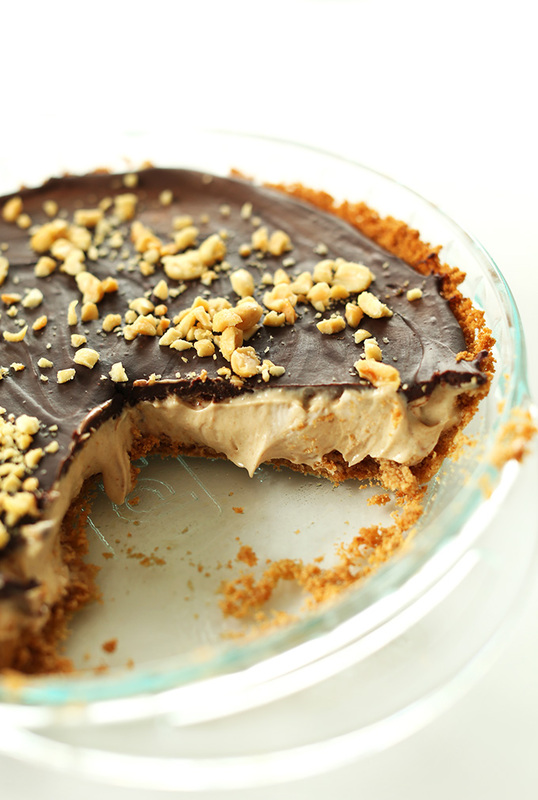 Vegan Peanut Butter Cup Pie – Vegan peanut butter cup no-bake pie with a graham cracker crust and chocolate ganache top! 8 ingredients, simple to prepare, and SO delicious you won’t be able to have just 1 slice. 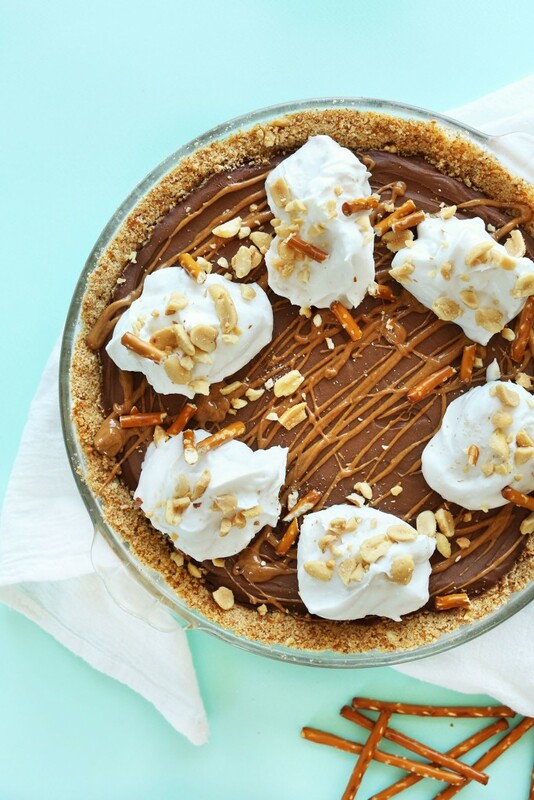 Pretzel Peanut Butter Chocolate Pie – Amazing, 7-ingredient peanut butter chocolate mousse pie with a salty pretzel crust. Rich, savory sweet, and so easy to make. If you enjoyed these recipes, share this page!